Consulting firm Frost & Sullivan has honored the Siemens Building Technologies Division with its 2015 European Building Technologies Company of the Year Award, recognizing its outstanding services and solutions. 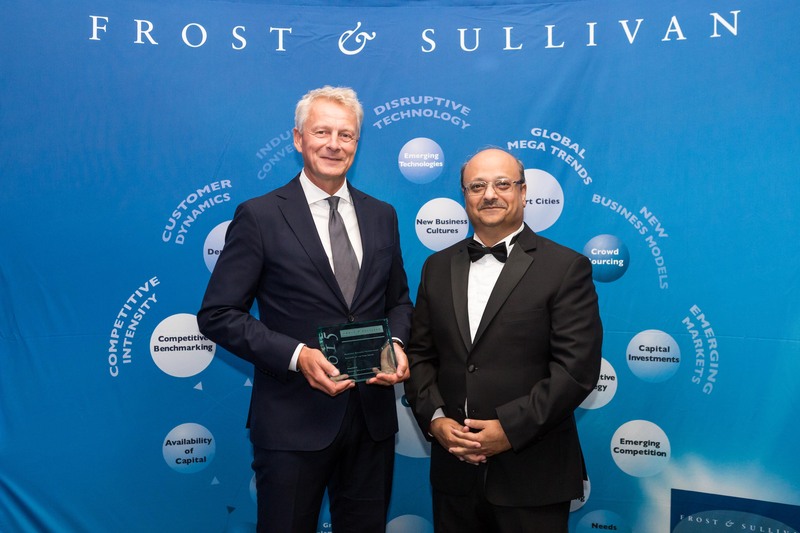 Peter Hallberg, Head of BT Region Europe North, accepted the award in London on June 29, 2016 from Aroop Zutshi, Global President and Managing Partner at Frost & Sullivan. Explaining their decision, the experts at Frost & Sullivan emphasized Siemens’ leading role in driving developments for the entire industry: “In the building technologies industry, Siemens has demonstrated exemplary performance focused, above all, on customer-oriented innovation,” said Zutshi. The Siemens Building Technologies Division’s claim as an innovative market leader for safe, energy-efficient and environmentally friendly buildings and infrastructures is underpinned by a comprehensive solutions and service portfolio. A current example is the cloud-based Navigator energy management platform. The visualization software displays data streams in condensed and, typically, graphical form. The result is an enterprise-wide view of the energy and operating performance, both at a high level and in detail. Navigator is a customizable, scalable and easy to use portal that efficiently supports the monitoring of building system performance, energy demand and energy supply. For more information about the Building Technologies Division, please visit www.siemens.com/buildingtechnologies.